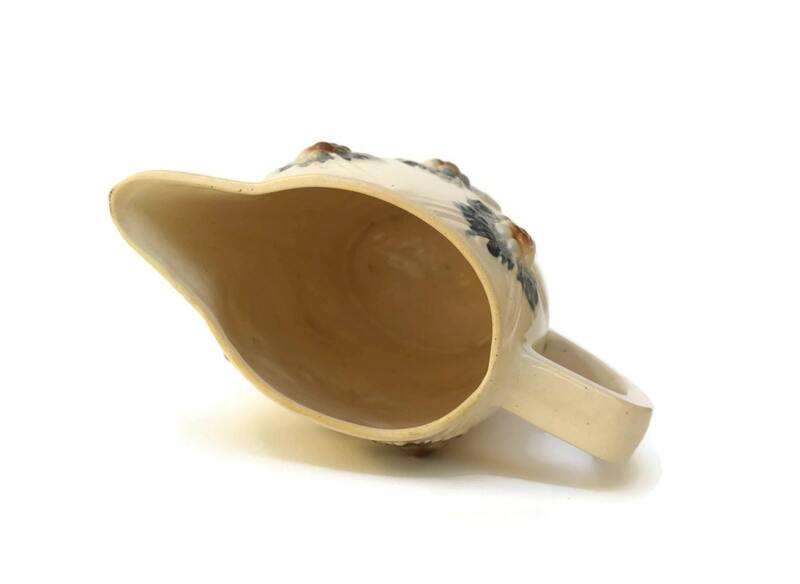 A charming French grape majolica water pitcher dating to the 1930s. 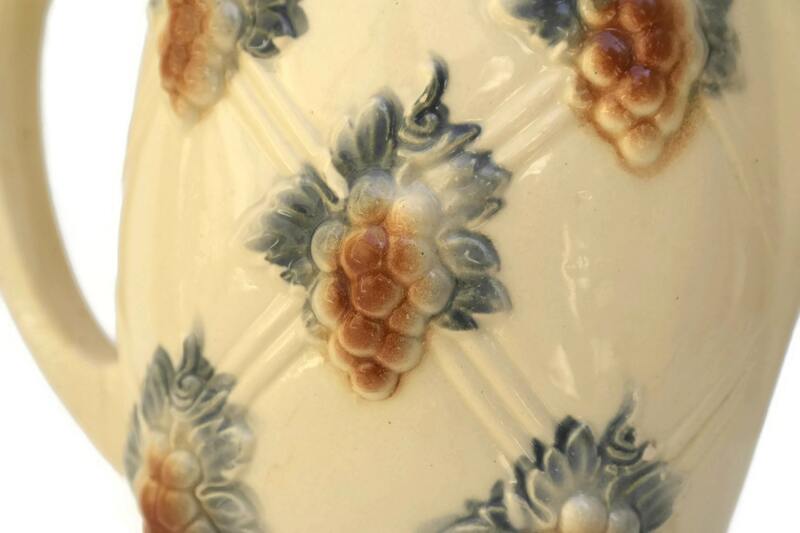 The jug has been produced by the renowned Digoin Sarreguemines pottery. 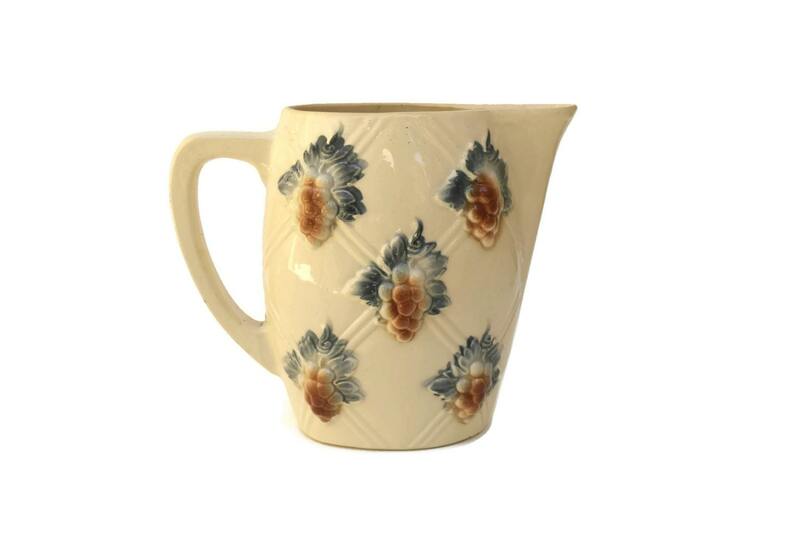 The ceramic pitcher features hand decorated bunches of grapes in relief with a geometric trellis design background. The base of the jug jas been stamped with the Digoin maker's marks. 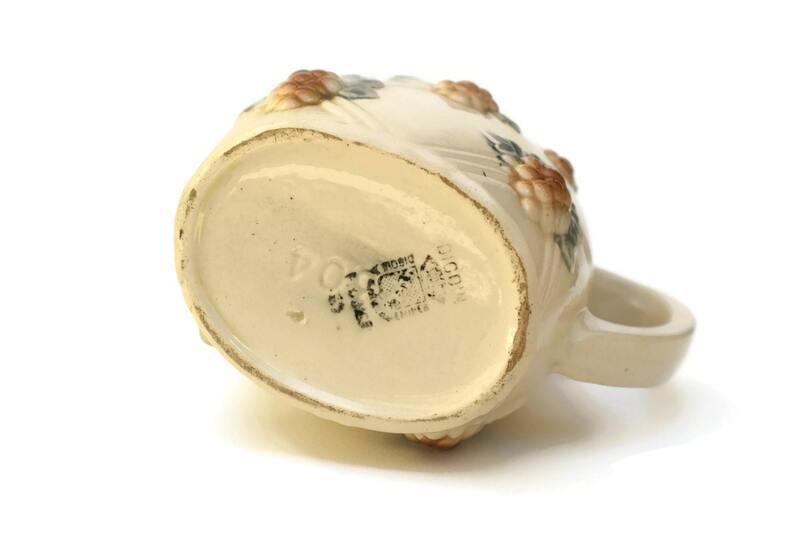 It will make a great addition to your rustic kitchen decor. (16 cm x 17,5 cm). 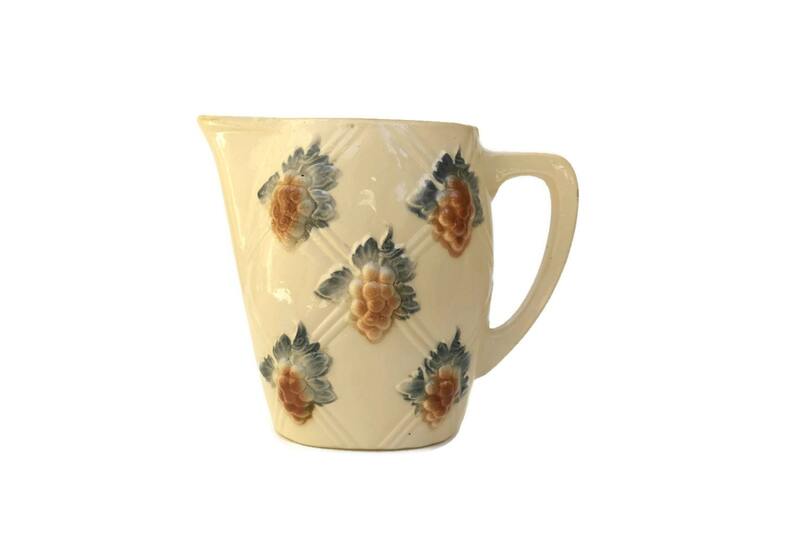 The French wine jug is in very good vintage condition. There are no chips or cracks.